The initial consultation, the foundation of your Panchakarma program, assesses the guest’s medical history, current medical condition, lifestyle, personality traits etc, using the guest’s oral information, a medical questionnaire and a physical examination. The constitutional check-up gives each guest his / her individual reading of the bio-energies of Vata, Pitta, Kapha. This check includes Nadi (pulse diagnosis) and a written questionnaire. On completion of these two consultations, guests receive their individual treatment plan and a personalised food chart (if necessary). Information about oils / medicines / diet is also given at a separate meeting with the doctors. 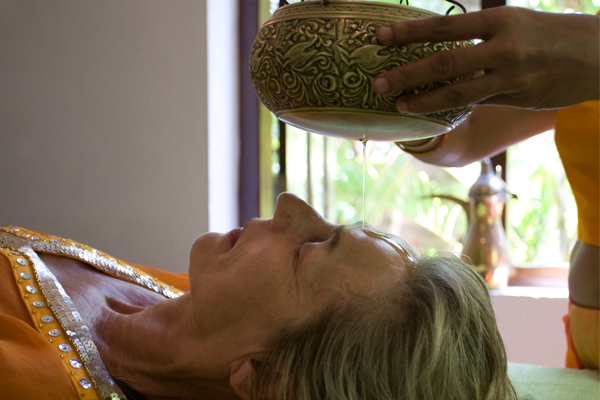 Mid consultation – a formal assessment of the progress of the Ayurveda program. Final consultation – guests are given advice on lifestyle, medicines and Western foods suitable for their constitution type / medical condition to use after their Ayurveda cure in Sri Lanka. The above are scheduled consultations. Outside of these, guests can meet the doctors during working hours if they need additional information or further consultations.